Have you been given a camera and are confused by its functions? Have you got a hobby and would like to be able to photograph your passion? Why not join me in the beautiful surroundings of Howbery Park and learn more about photography in a relaxed environment. With courses paced and designed to suit you, I would like to inspire you with my own enthusiasm for photography. I also provide more specialised training to advanced users. 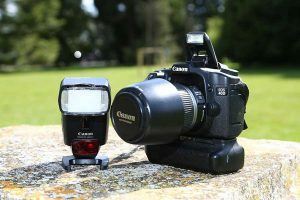 This course is aimed at all users of Digital SLR cameras who would like to learn more about photographic principles, techniques and tricks and understand their own equipment better. The course is suitable for single learners and groups up to 8 people. Typically this course is run at the Innovation Centre, Howbery Park, Wallingford, Oxon, OX10 8BA. However, by prior arrangement it can be delivered in an alternative location. The course combines ‘classroom’ based learning with a number of practical tasks and reviews of results for optimal learning. The practical tasks are where possible in part tailored to the objectives and interests of the learners. Handouts are provided. Where students want to bring their own cameras this is encouraged and the learning tailored to the camera in use, unless the broad range of cameras in any one group makes this impossible. Camera equipment available include Canon 20D, 40D, 5D Mark 1 and Mark 3. The content is designed and delivered by Tonja Fritz-Johnson of Wallingford Portraits & Weddings. Tonja combines 26 years experience in various branches of the photographic industry with a teaching qualification, so that the delivery is sympathetic to a number of learning styles. This is an intense day running from 9.00 am to 17.00.